At Langley Interiors we are always on the lookout for the best products for our clients. We want to offer furniture that is not only on trend but also offers the best storage solutions and latest gadgets to help in every day life. 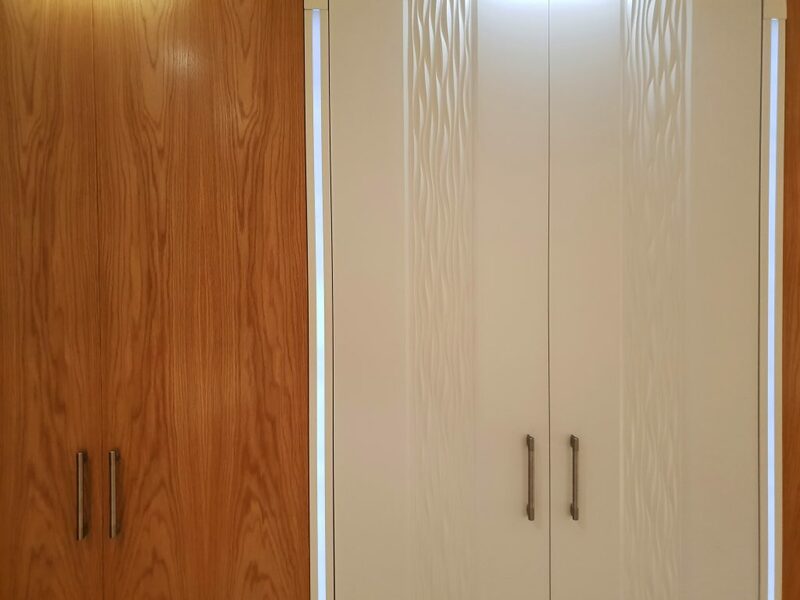 Whether it is a brand new room, or the most up to date storage solutions that will give extra space, visit Langley interiors to find out what we can do for you. The newest and most exclusive furniture design is the in-set ‘Wave’ 3D effect. 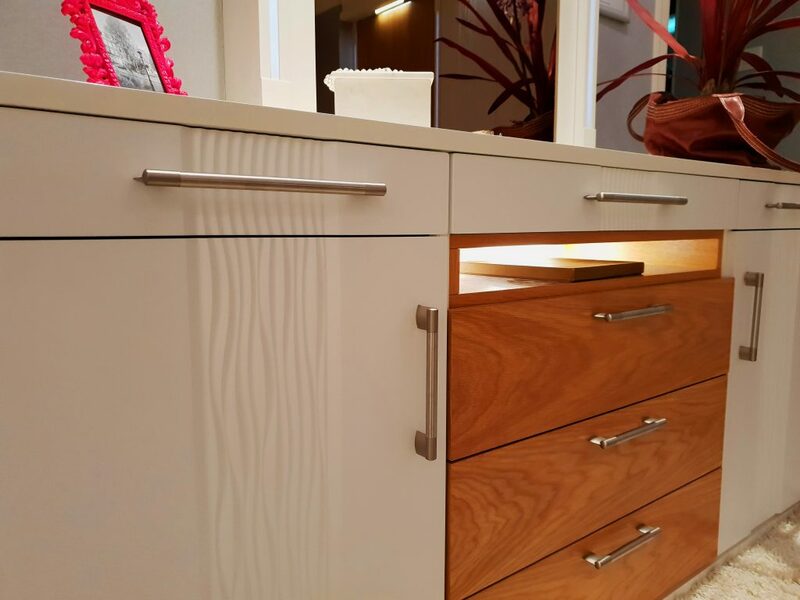 This brand new detail is available in all our fitted furniture and now on display to view in the Bolton Showroom. Available in a wide range of satin colour finishes, the ‘Wave’ offers an interesting detail without being overpowering. A pattern based on nature, the wave has the feel of the sea and ocean in its’ design. A flowing intricate pattern that at once calms and excites the sense. The White Wave is three dimensional, giving furniture a contemporary look. 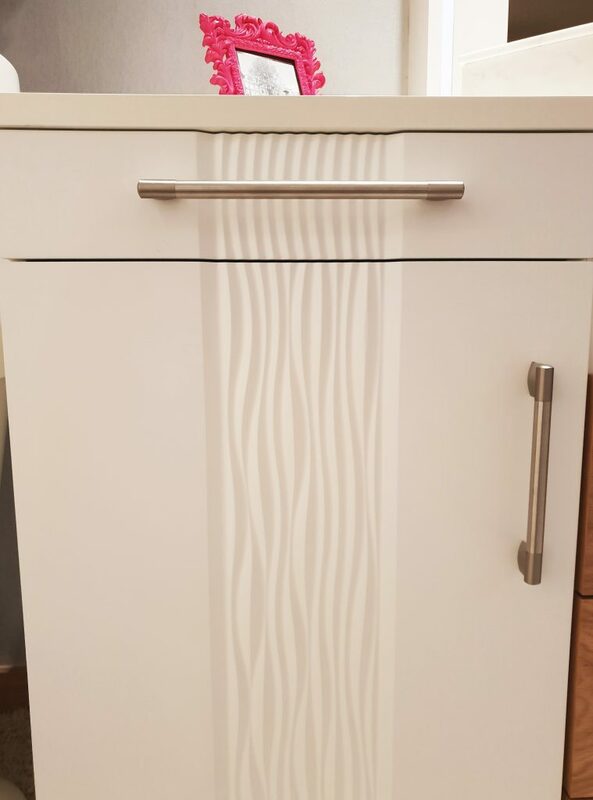 It is available as a modern crisp white or other painted finishes colours. Used well it can really help to add interest and bring a room to life. The feature works especially well combined with lighting that highlights its pattern, such as top lighting or mood lighting. We have used it in both modern and traditional rooms in a variety of colours, but our favourite remains with the stylish and modern matt white. It is perfectly complemented by a soft grey oak effect, but also works well with darker colour tones. 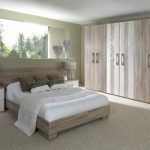 The white wave is a unique design feature and a beautiful option for any bedroom. Visit our Bolton showroom to see the white wave on display, alongside a range of other colour and style options available.